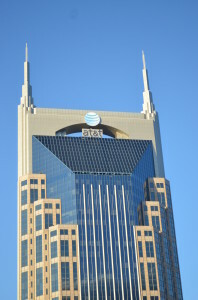 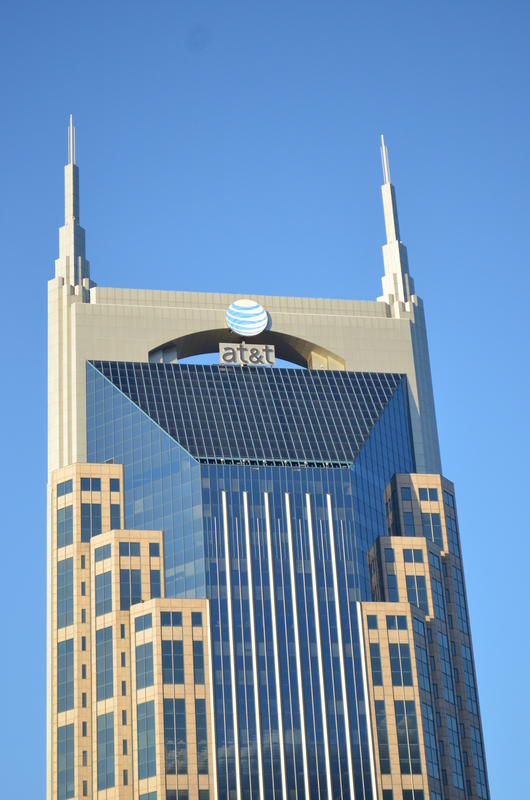 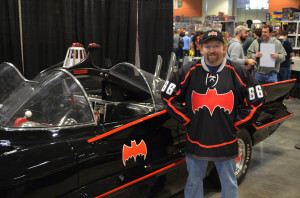 This Saturday I fired up my Batmobile, stopped in Memphis to pick up my co-worker Brandon and his son Brennan, and then headed up I-40 to Nashville, TN for the first ever Wizard World Nashville Comic Con. 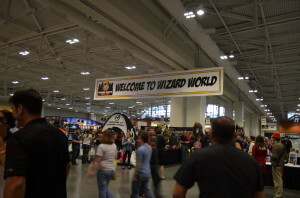 It was also my very first Wizard World show to attend. 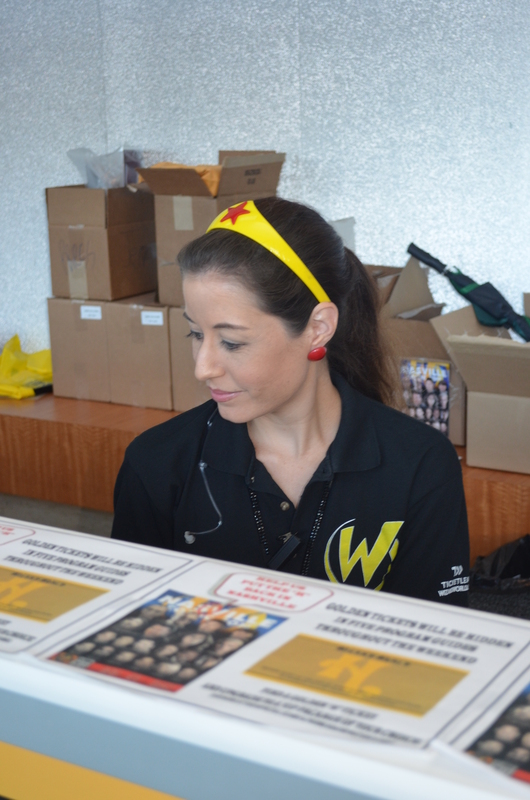 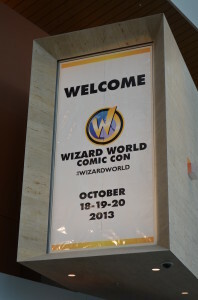 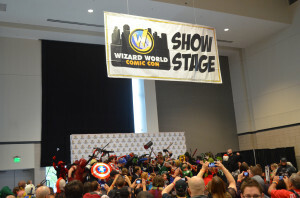 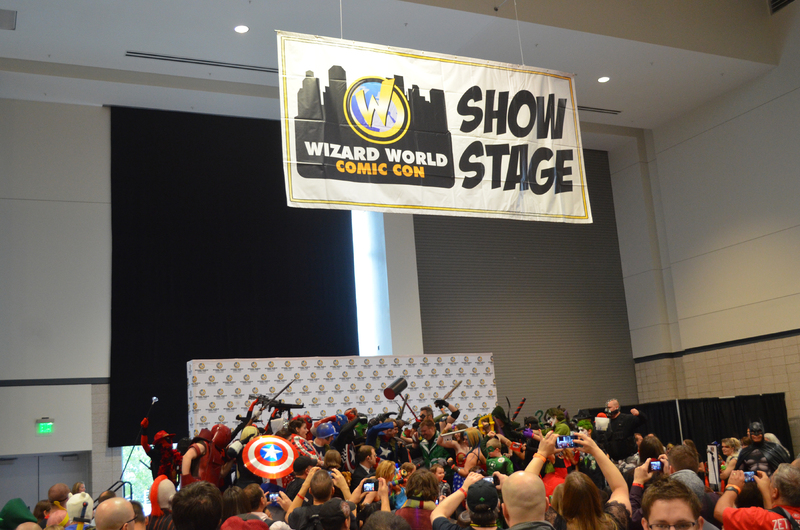 Once inside we were greeted with another “Welcome To Wizard World” sign. 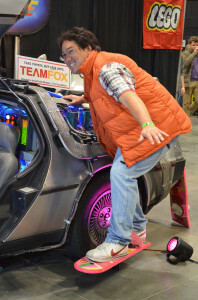 The space was decent sized with lots of room to grow in the future. 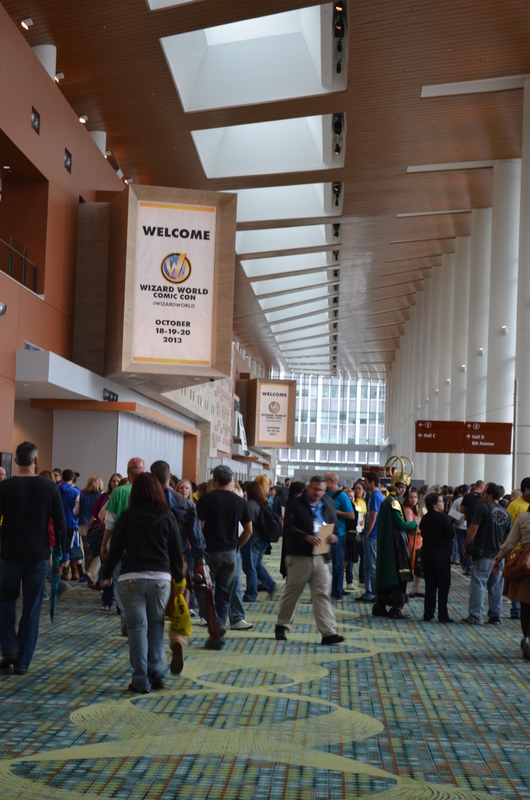 A good crowd but not too crowded. Lots of cosplayers! 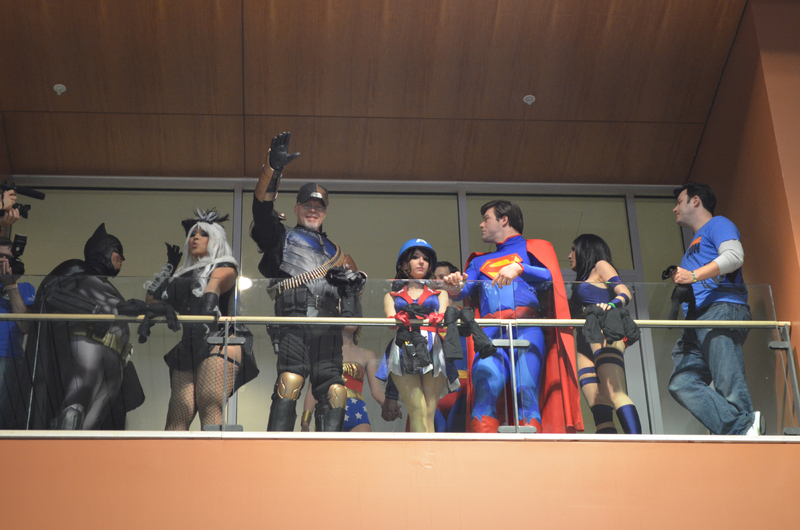 We got to meet a couple of the more well known cosplayers- Riki LeCotey (AKA Riddle’s Messy Wardrobe) and Ivy Doomkitty. 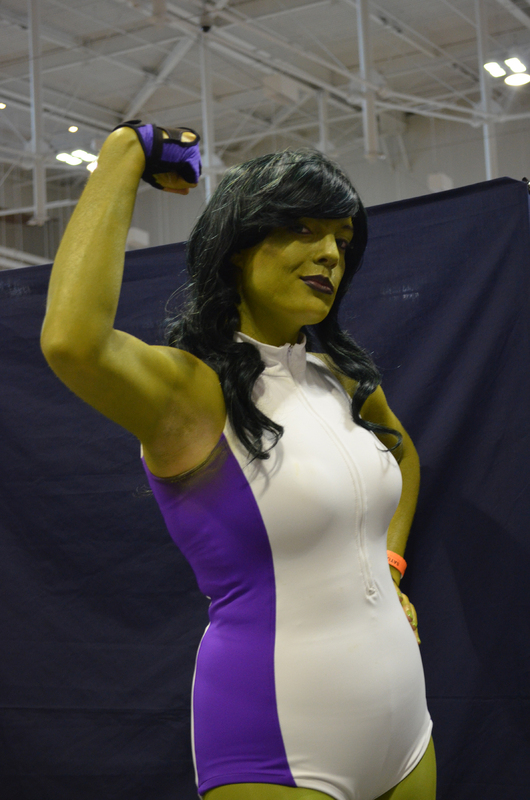 I bought a few prints from Riki and got to talk to her a little about her time on SyFy’s “Heroes of Cosplay” this season. 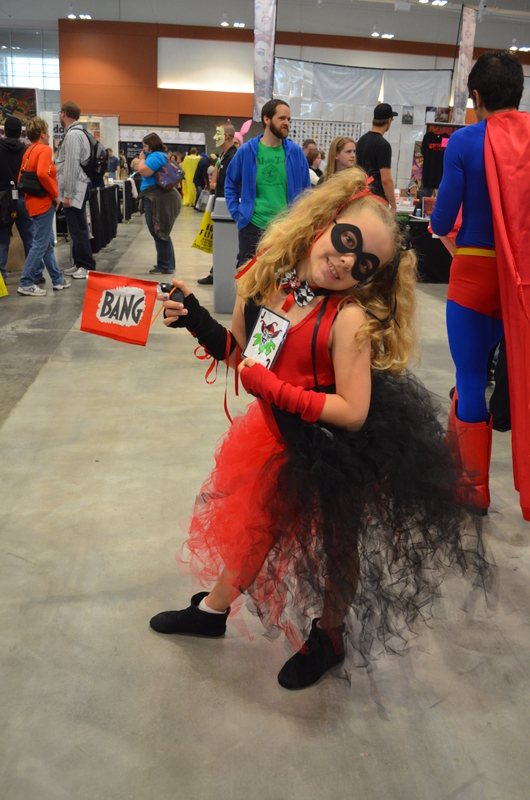 She was also very supportive of young cosplayers that stopped by her booth, and was more than happy to answer any costuming questions. 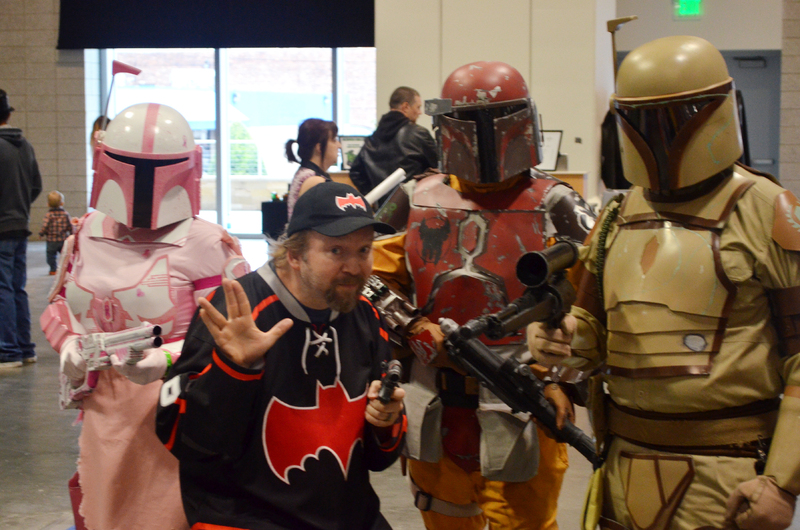 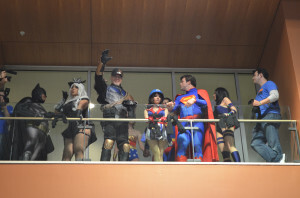 Lots of professional cosplayers on hand, including my friend Jeff “Brin Londo” Holland (center waving). 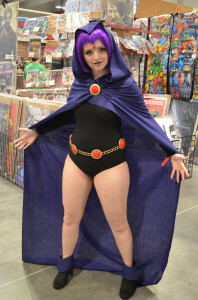 This was one of the first cons I’ve been to where cosplayers had booths of their own, and not just there as a “booth babe” with a creator or vendor. 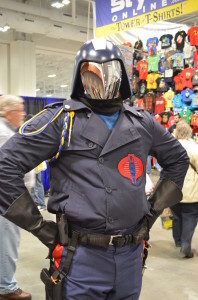 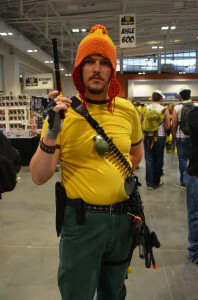 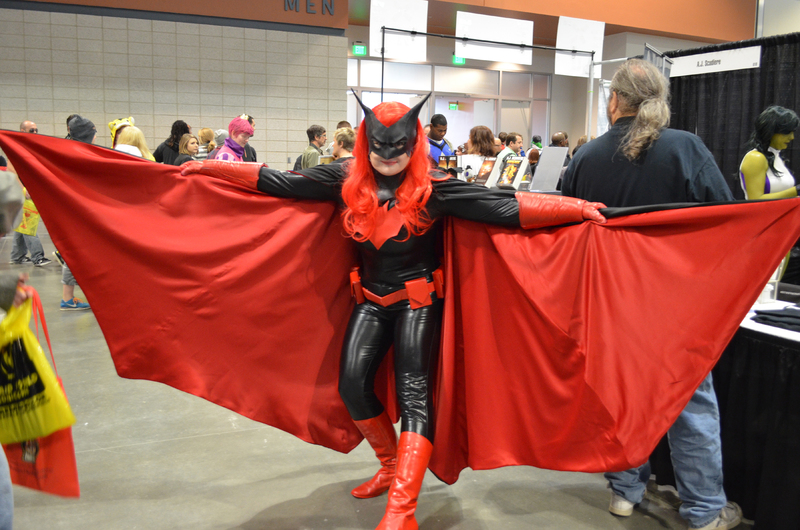 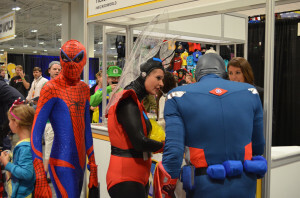 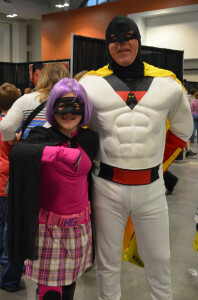 I think it added something new to the show mix and helped cosplay fans learn more about costuming and get some cool photo ops with one of the favorite cosplayers/characters. 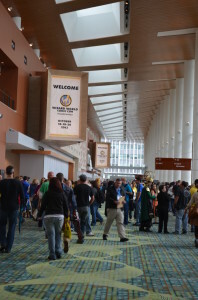 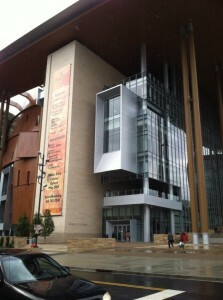 For some reason I was drawn to the back left of the convention space. 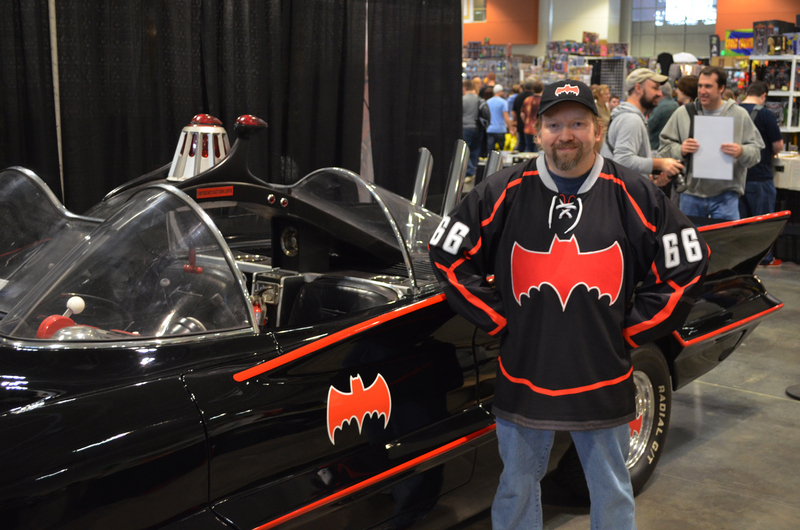 There was a ’60s Batmobile replica- a very nice one! I had my picture taken with it, and was glad I wore my Geeky Jersey! 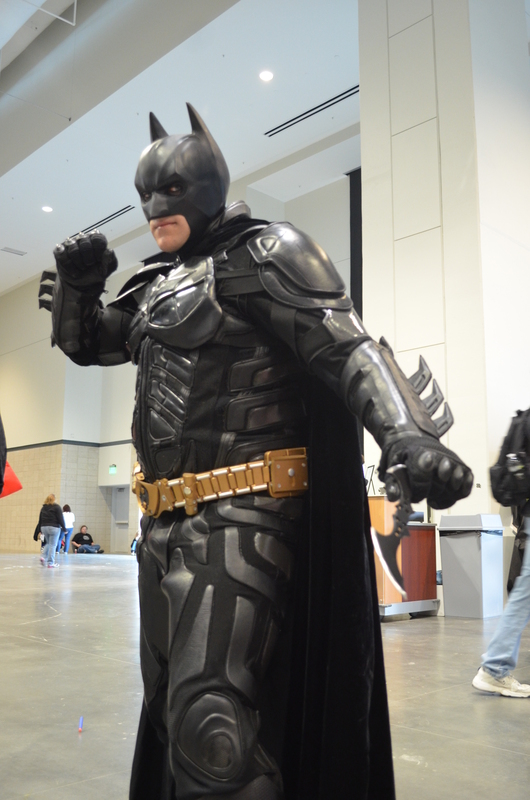 Got several shot of the car and I picked up some Batman postcards from that booth while I was there. 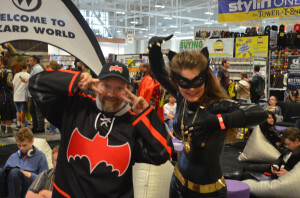 Also found a great Catwoman cosplayer- had to have my picture taken with her, too! 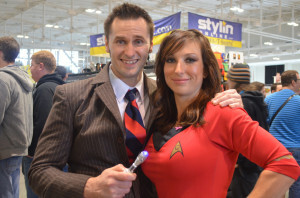 Got to love it when franchises collide- a Dr. Who/Star Trek match-up! 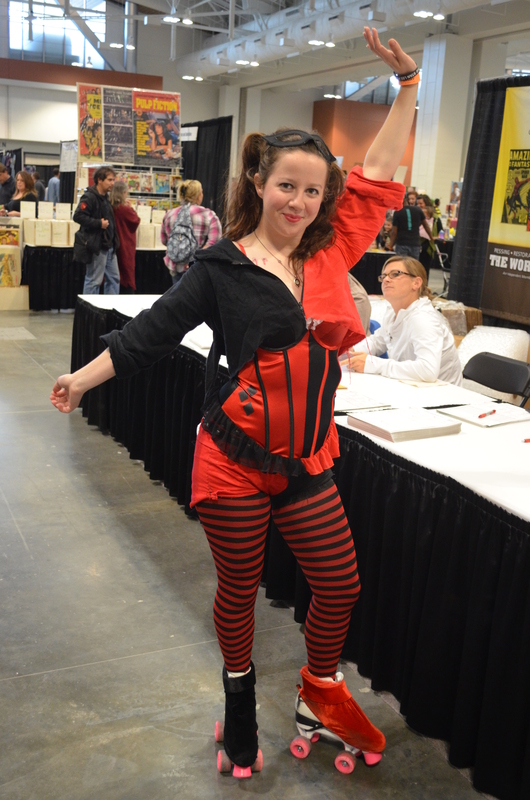 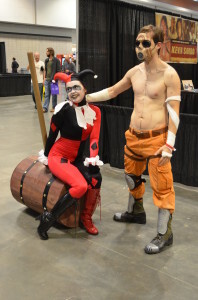 …but remember, Deadpool- cosplay is NOT consent! 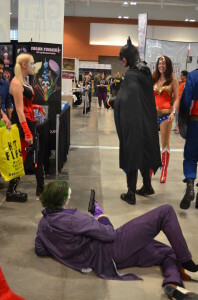 You can look but don’t touch..! 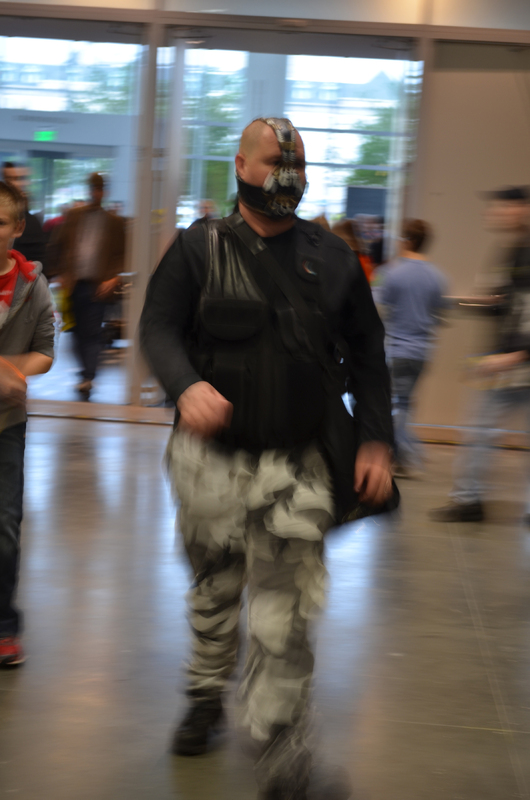 Actually, everybody seemed to behave themselves well and had a good time. 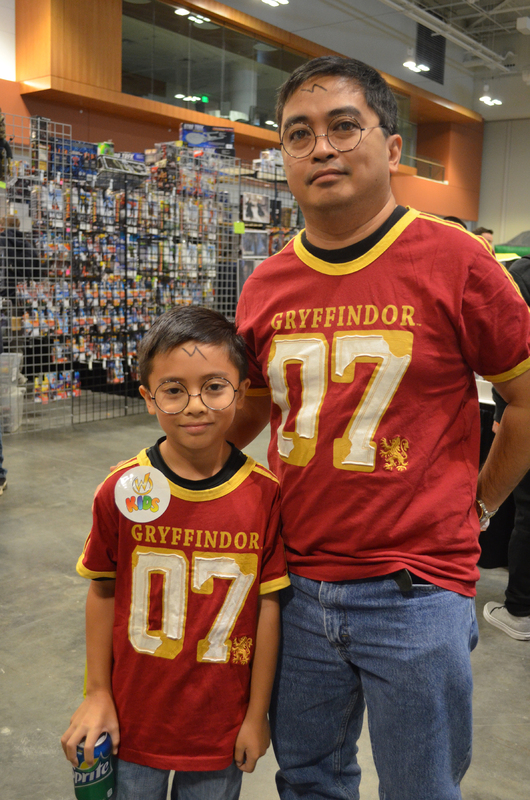 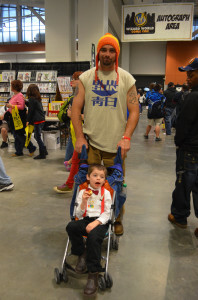 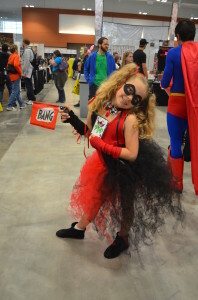 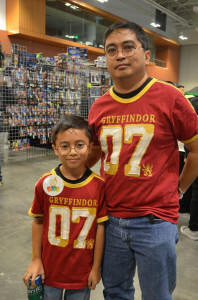 Lots of good examples of great parenting were all around the con while we were there. 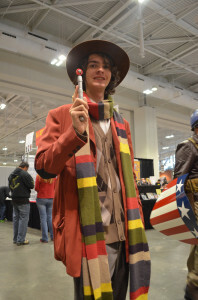 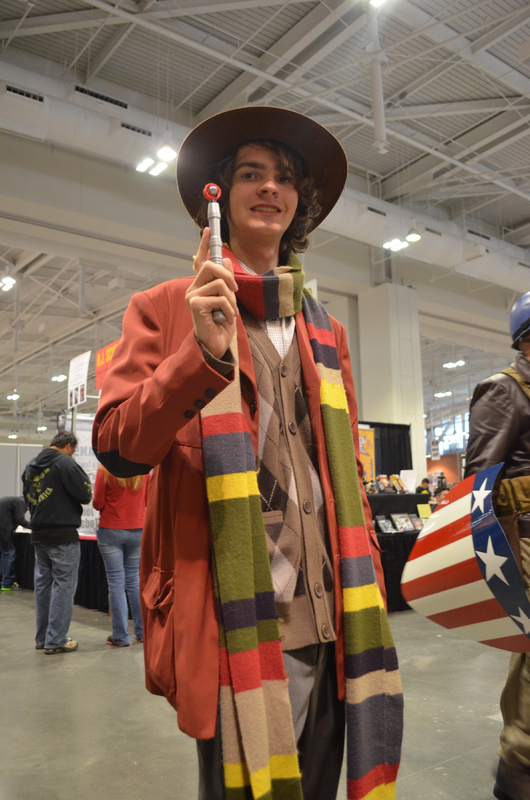 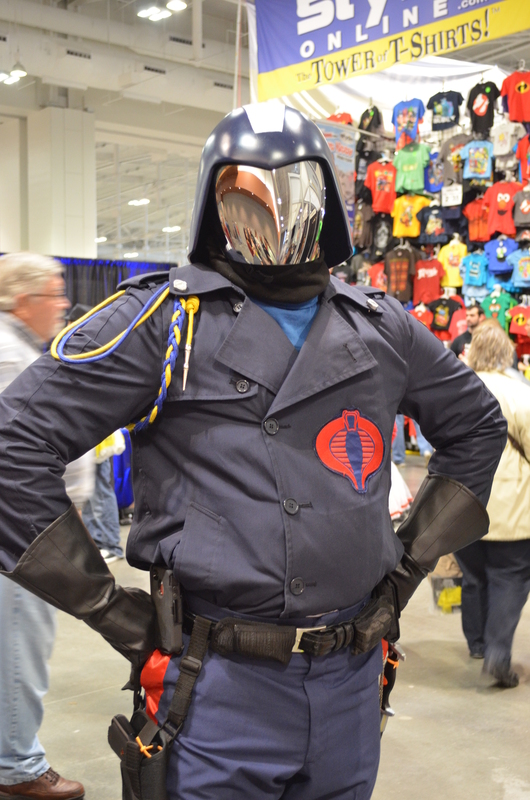 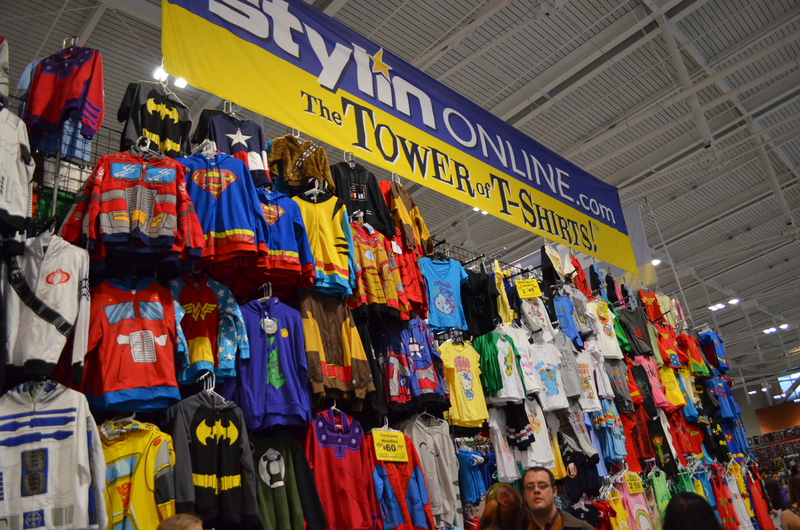 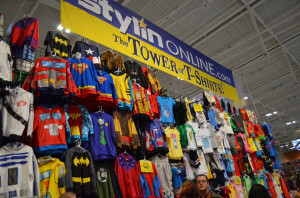 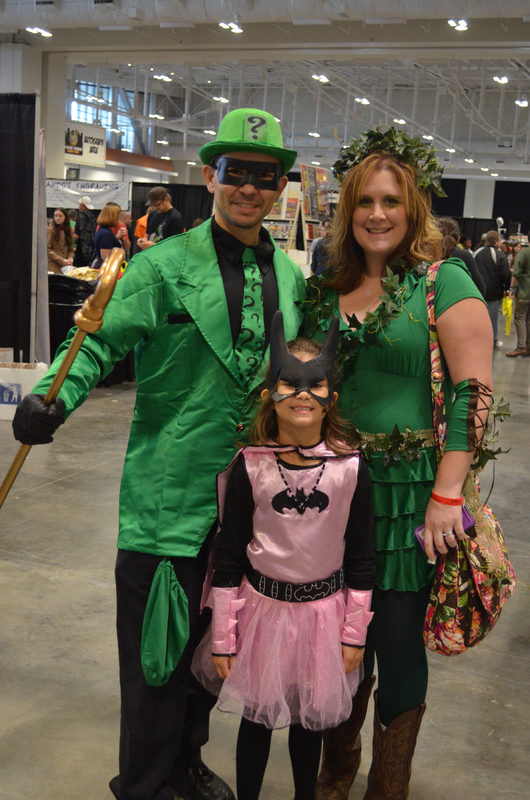 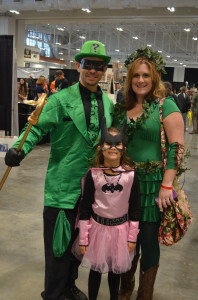 You can see more of the Wizard World Nashville costumes at this con here. 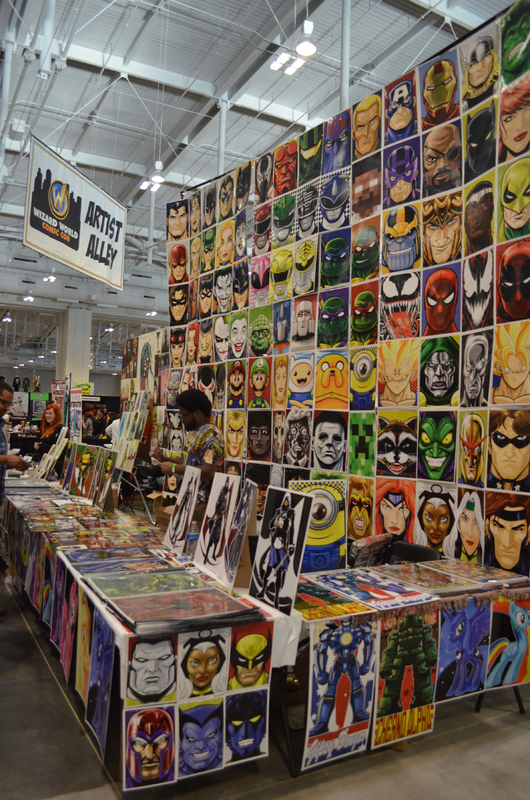 But as much as I like good cosplay, I love checking out a con’s Artists Alley. 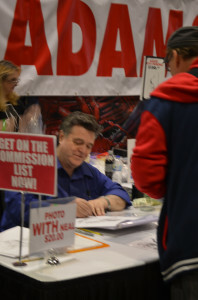 There was a good mix of artists and comic creators there, and lots of familiar faces and names. 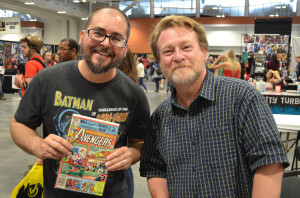 Here’s Brandon with artist Michael Golden. 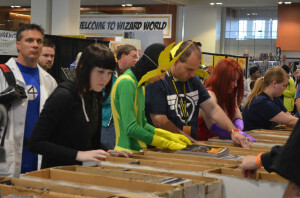 He got a few comics signed by Mr. Golden. We watched him work on a commission sketch, too. 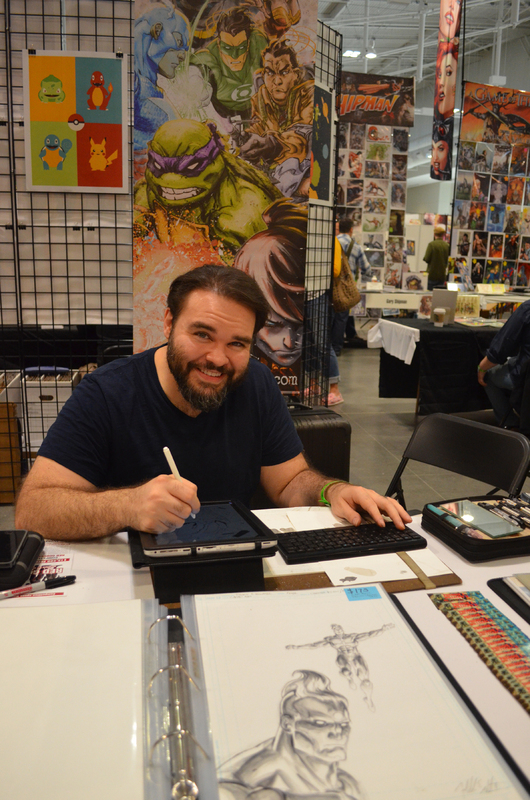 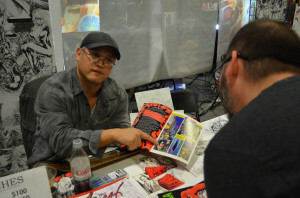 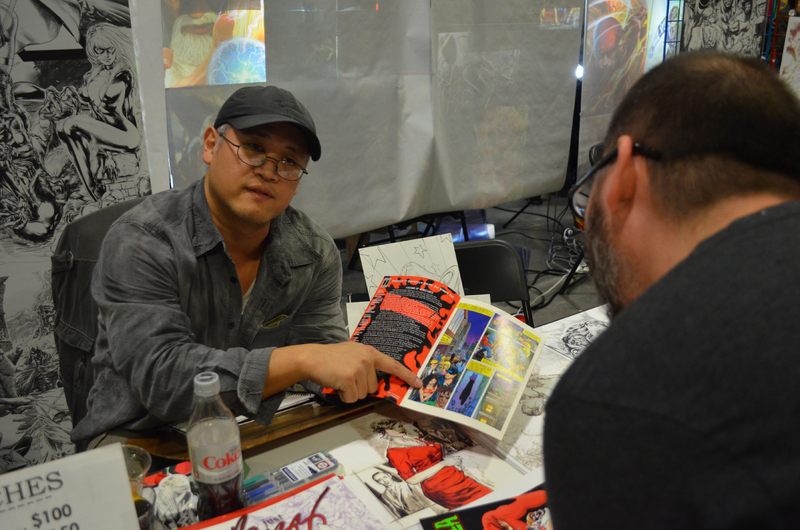 Artist Buzz gives Brandon some behind the scenes info on a Vampirella comic he drew. 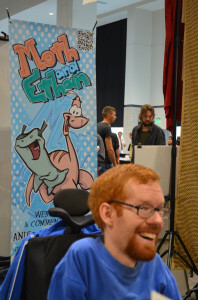 I bought a Volume 1 sketchbook from Buzz, and he threw in the second volume! 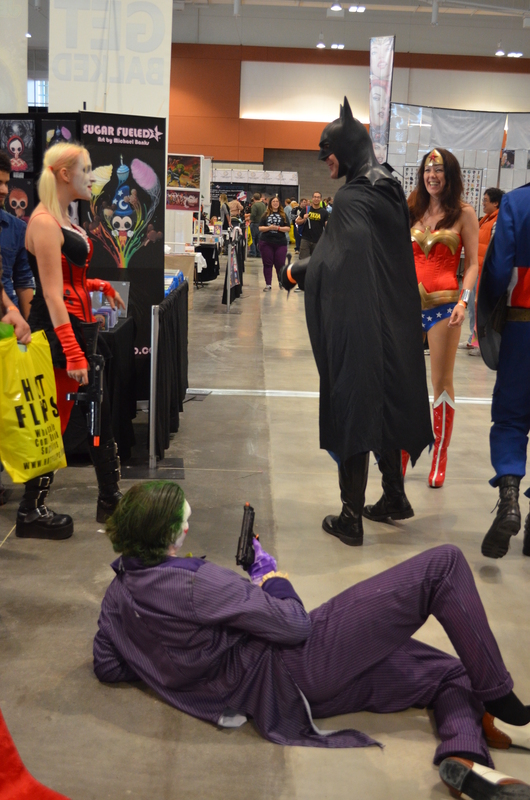 Thanks, Buzz. 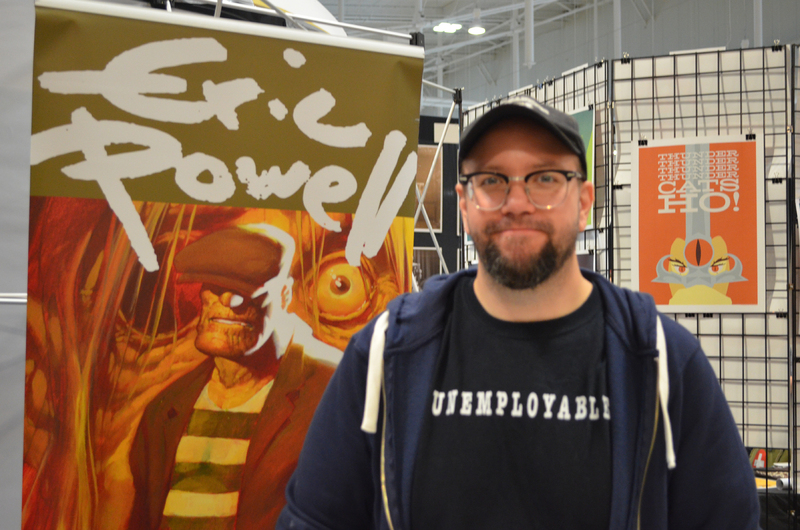 “The Goon” creator and local guy Eric Powell. Bought his newest sketchbook. 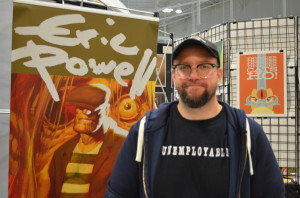 Wish him the best on getting the Goon animated movie produced. 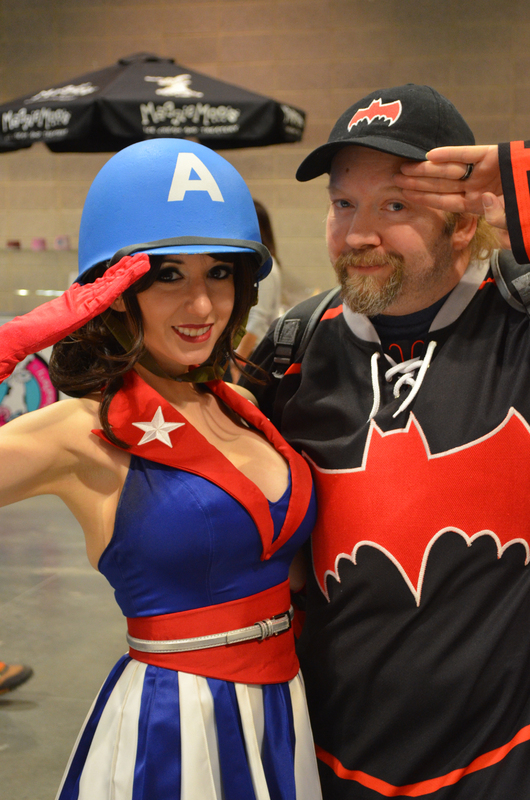 “Shi” creator Billy Tucci and his booth babes Crystal and Rick Van Diver. 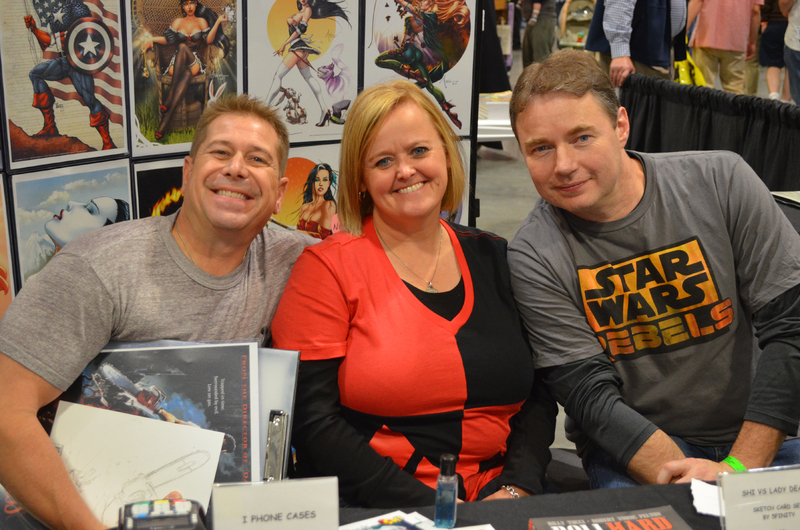 Always great to see these three! 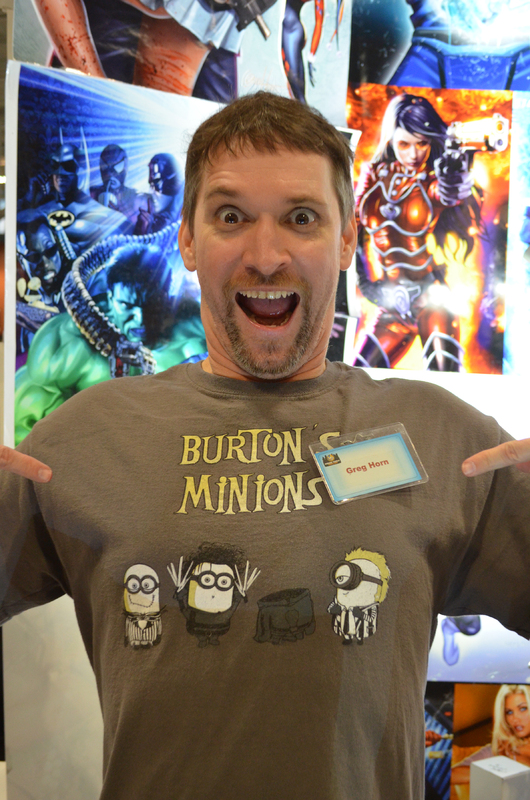 Artist Greg Horn and his awesome tee! This guy was working his booth. 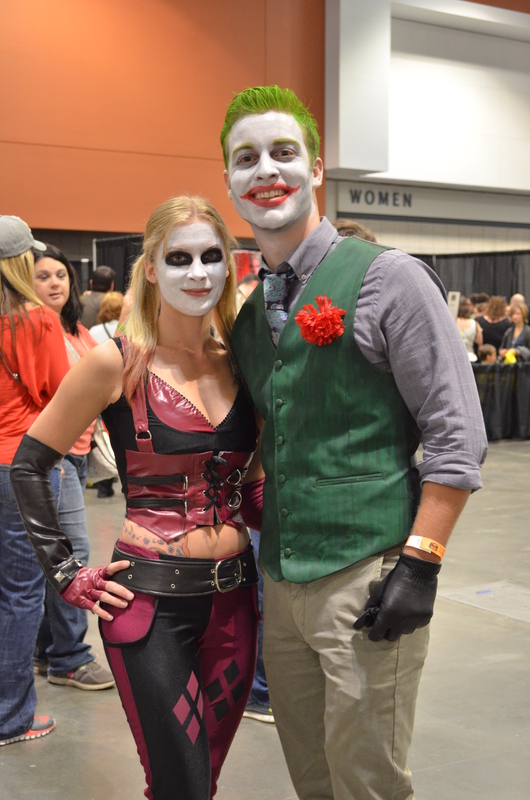 Bought a Joker/Harley Quinn print from him. 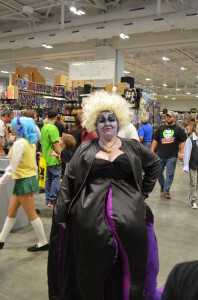 Even though I didn’t get to meet Eliza, I did get to do a bit of shopping. Bought some Harry Potter Dark Mark earrings and some superhero buttons for Nicki, and traded an extra copy of “The Walking Dead” comic I had for a mini Vader bust for her and mini Wolfman figure for me. 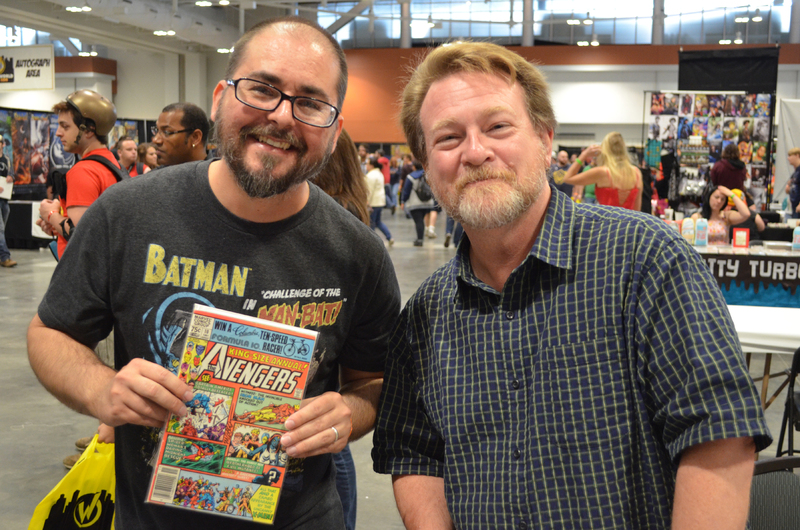 I did a bit of comic shopping, but couldn’t find a “Giant-Size Man-Thing“…the search continues. 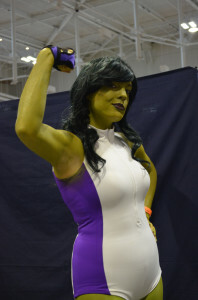 Hopefully Jessica Rabbit, Mr. 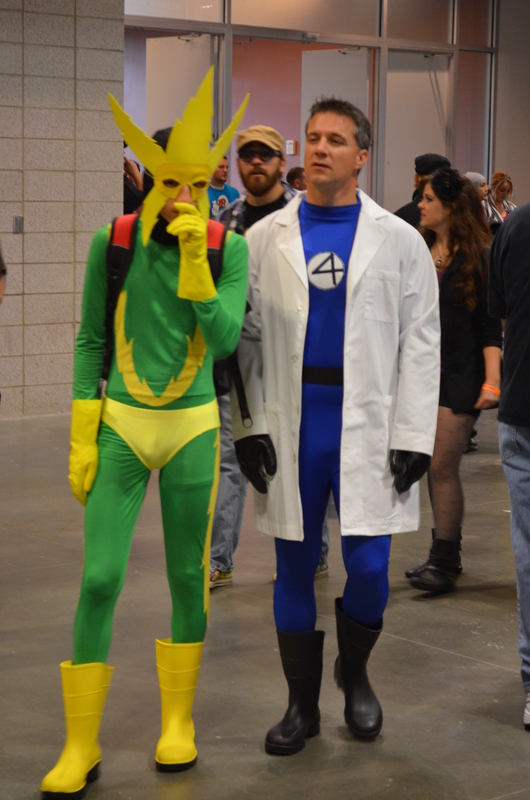 Fantastic, and Electro had better luck longbox diving than I did. 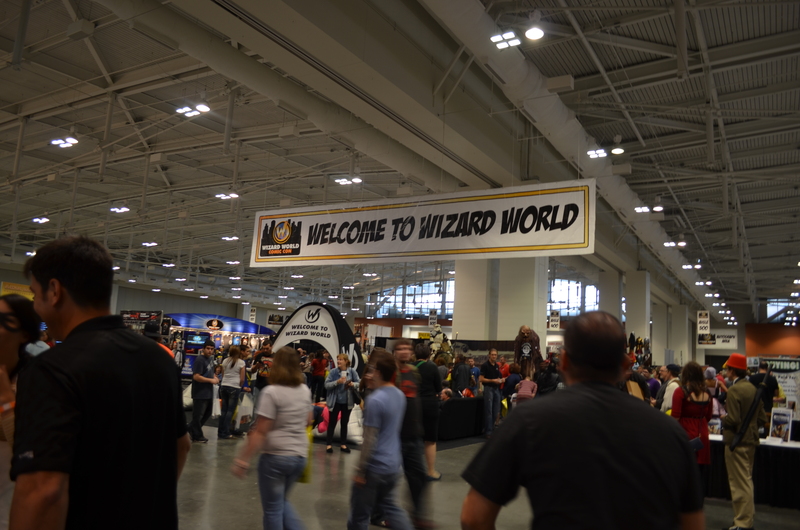 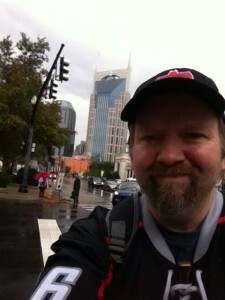 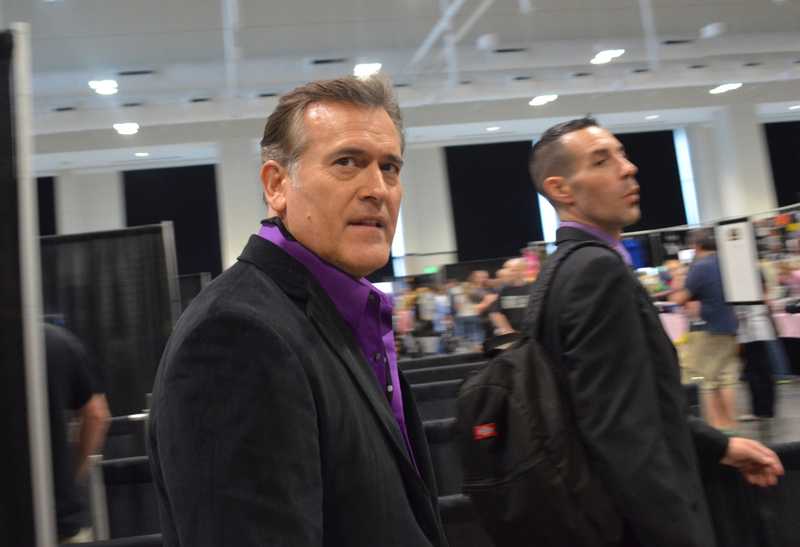 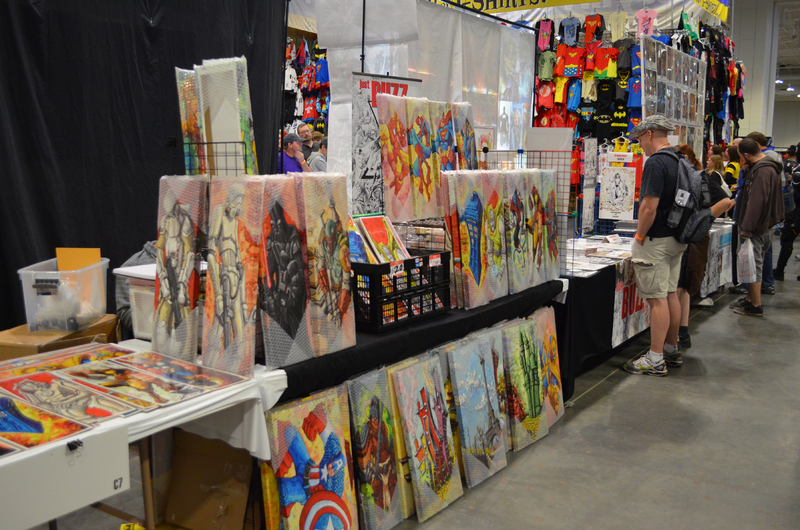 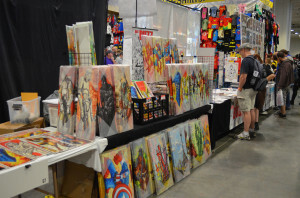 I had a great time at Wizard World Nashville, and hope to make it back again next year. 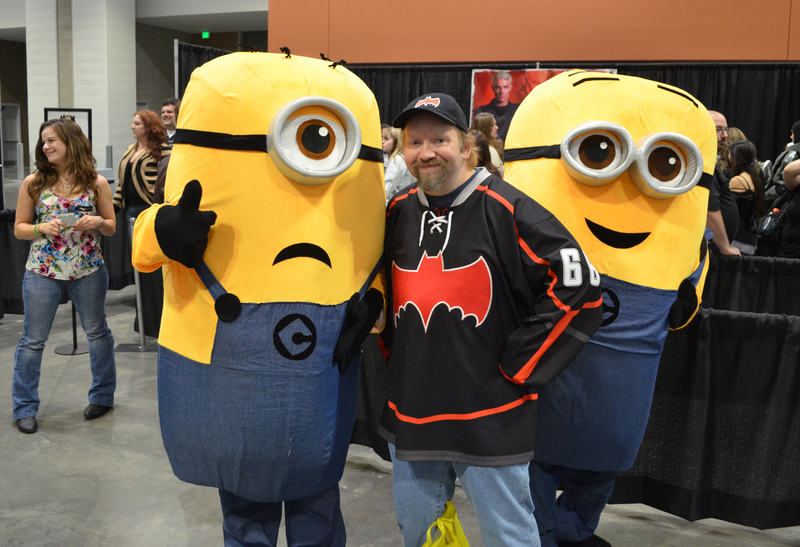 Congrats to the Minions for winning Best of Show in the costume contest! Hope to see them again next time.